It's a nice way to maximize your bathroom space while making it look fancier. 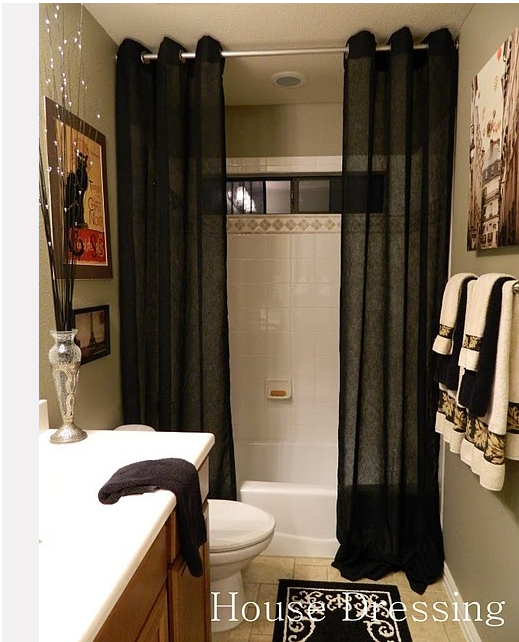 An extra shower curtain doesn't really take up that much more space, but creates a frame for your shower space. I love that you can easily have it match your already-decorated-bathroom and it just adds that little extra indulgence that makes the bathroom a place you want to be in, rather than a place you need to be in.